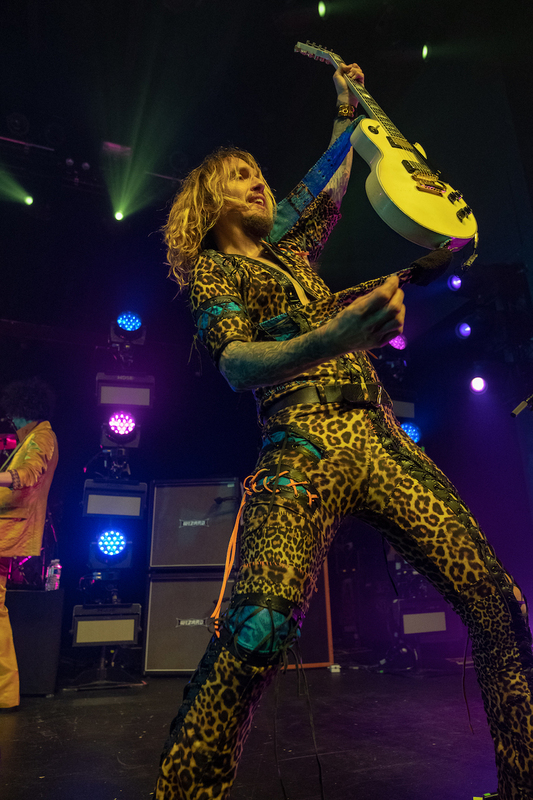 If you haven't seen The Darkness live yet, it needs to be added to your concert bucket list STAT. 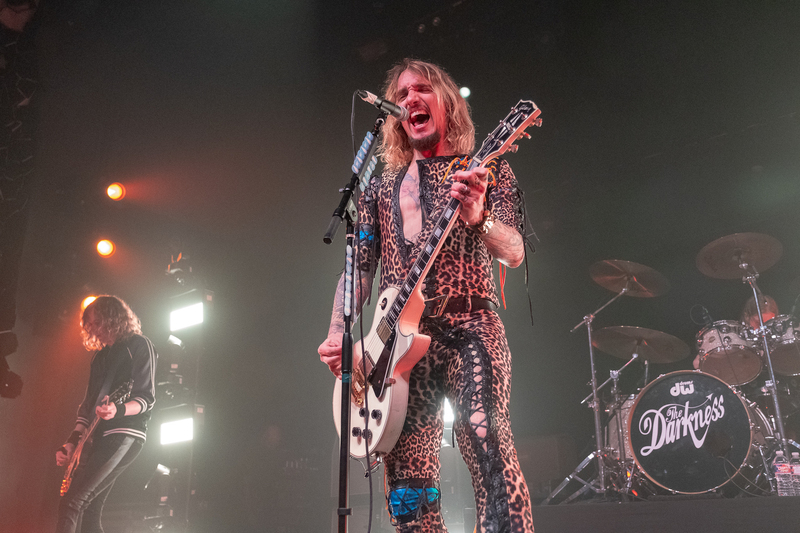 The famed English rock band, who first stole our heart back in '03 with the forever classic "I Believe In A Thing Called Love", are known for putting everything they have into their live shows. 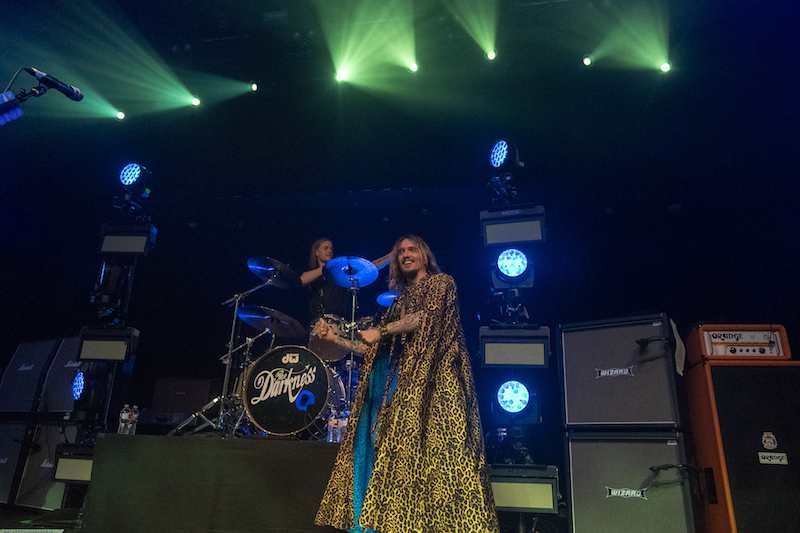 That means leopard capes, gold suits, vintage guitars, and swagger galore all make an appearance whenever they hit the stage. 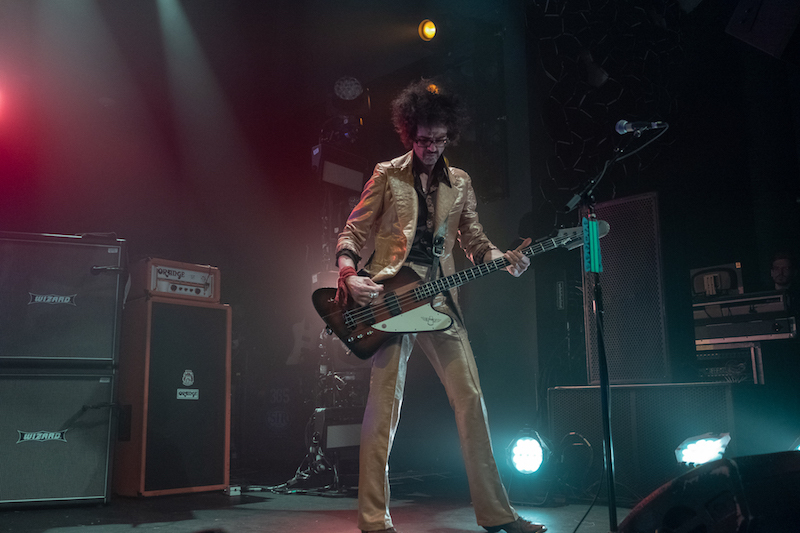 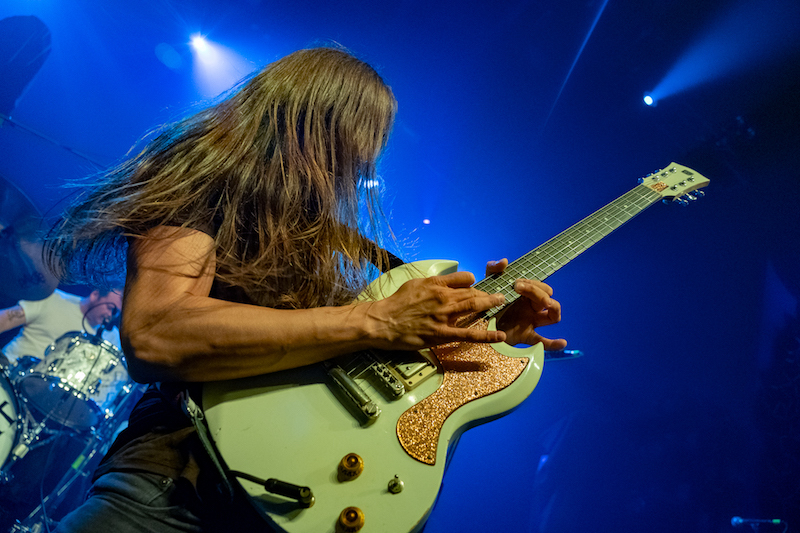 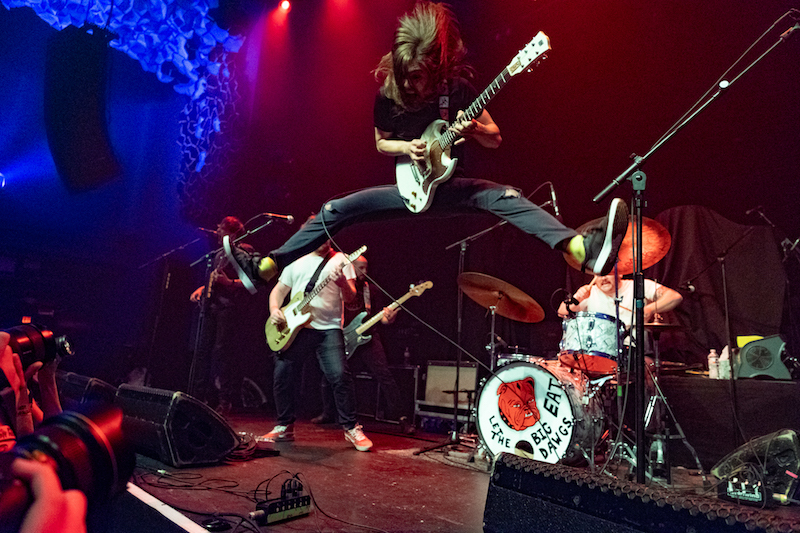 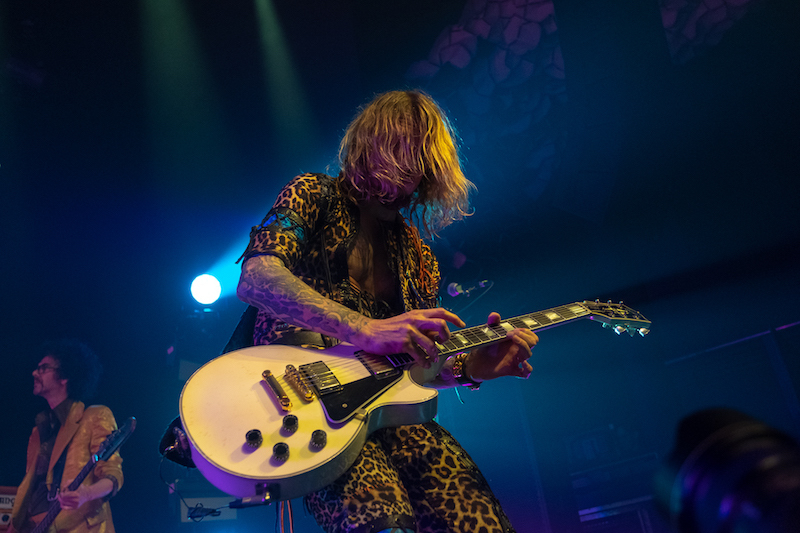 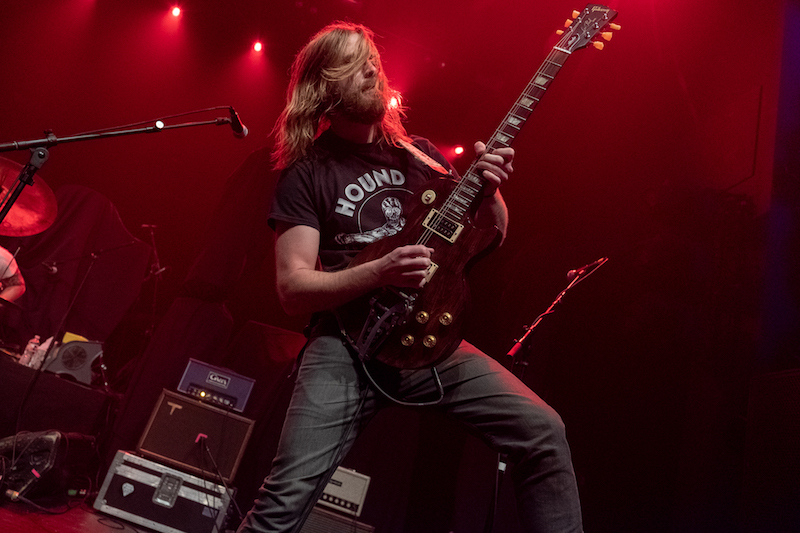 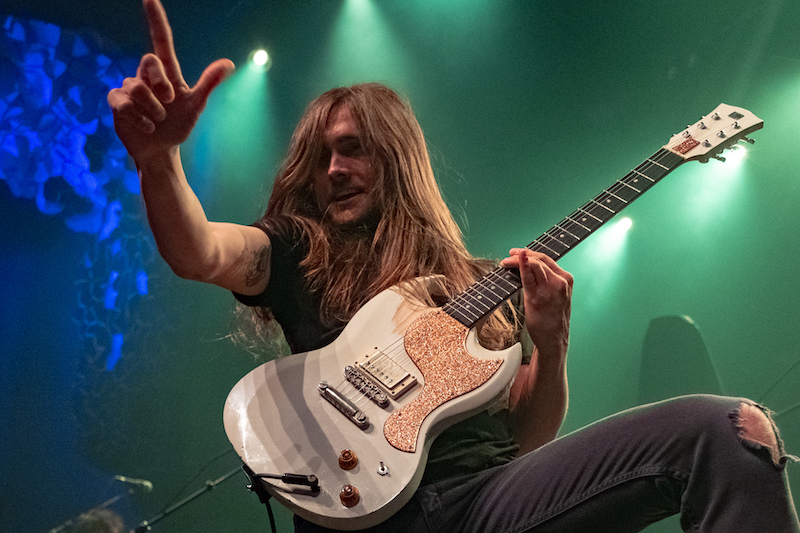 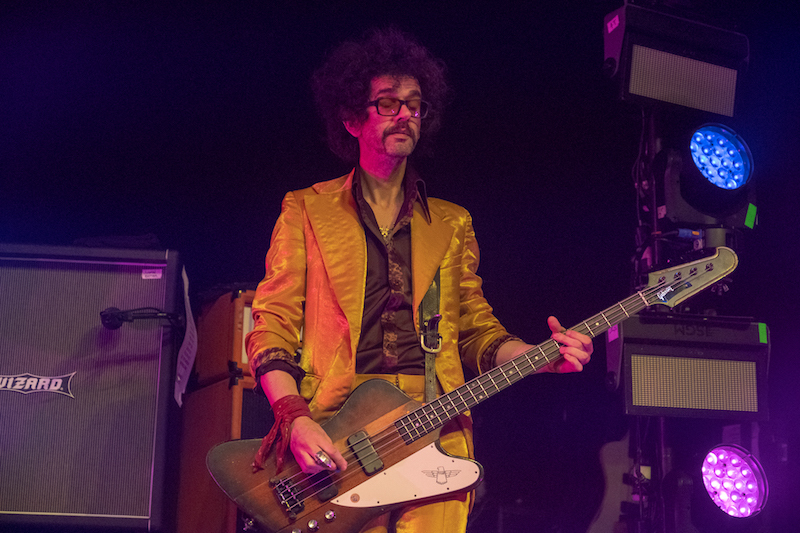 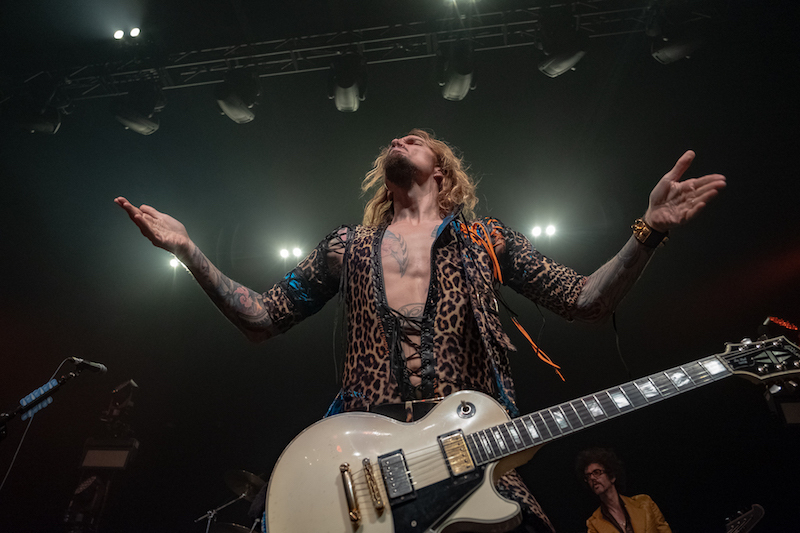 The icons, made up of Justin Hawkins (vocals / guitar), Dan Hawkins (guitar), Frankie Poullain (bass), and Rufus Tiger Taylor (drums), recently wrapped up their North American run in support of their fifth album Pinewood Smile. 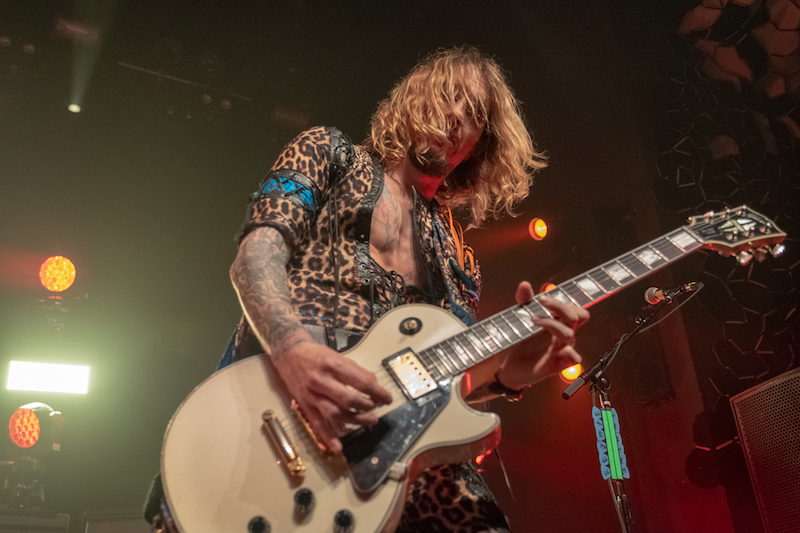 Playing home to stellar anthems like “All the Pretty Girls” and "Buccaneers Of Hispaniola", the LP was a transformative one for the four-piece's discography. 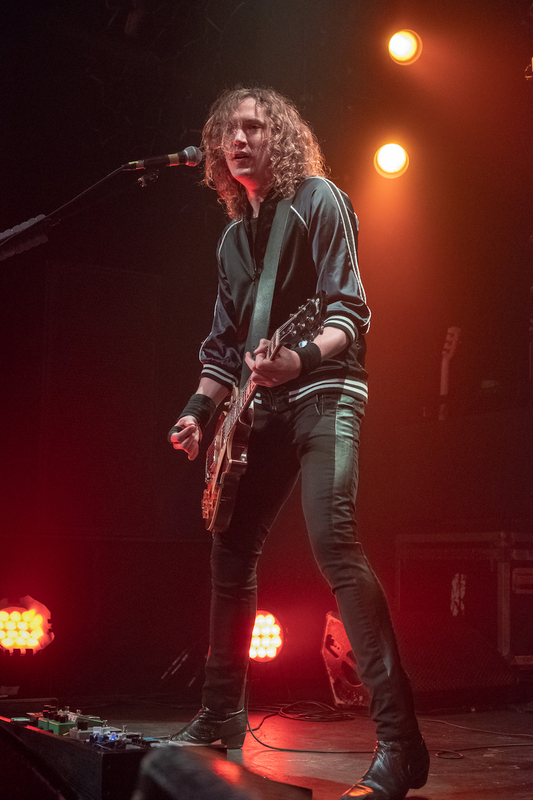 Before they head overseas for a European run next month, we caught their show in Austin, where they kicked off the night with "Open Fire" off 2015's Last of Our Kind. 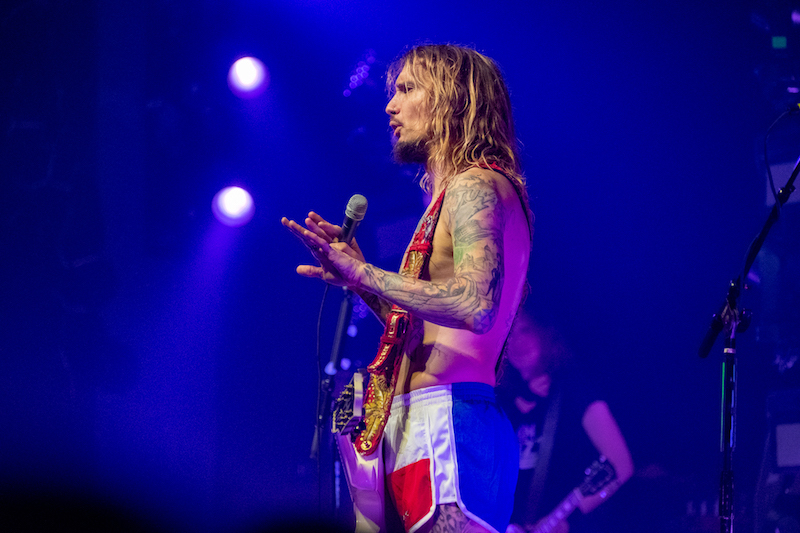 After rolling through fan favorites like "Friday Night" and "Givin' Up", they returned to the stage for a dazzling encore, (which frontman Hawkins appropriately donned Texas shorts for). 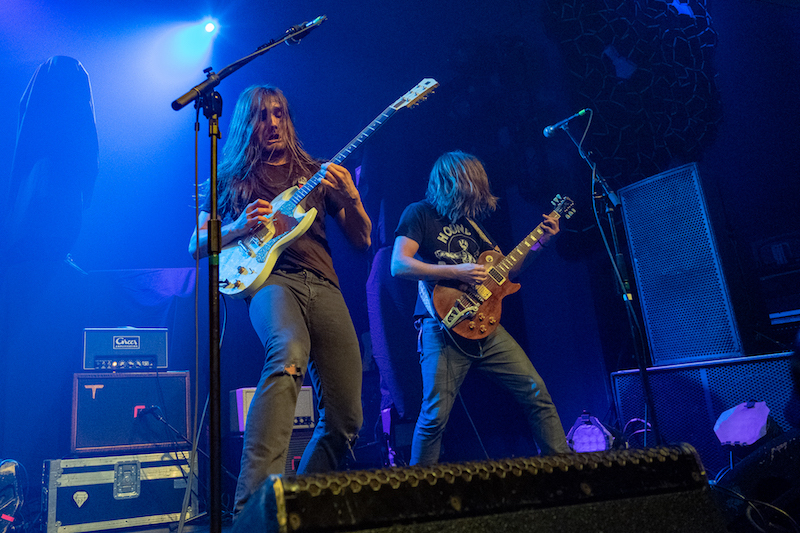 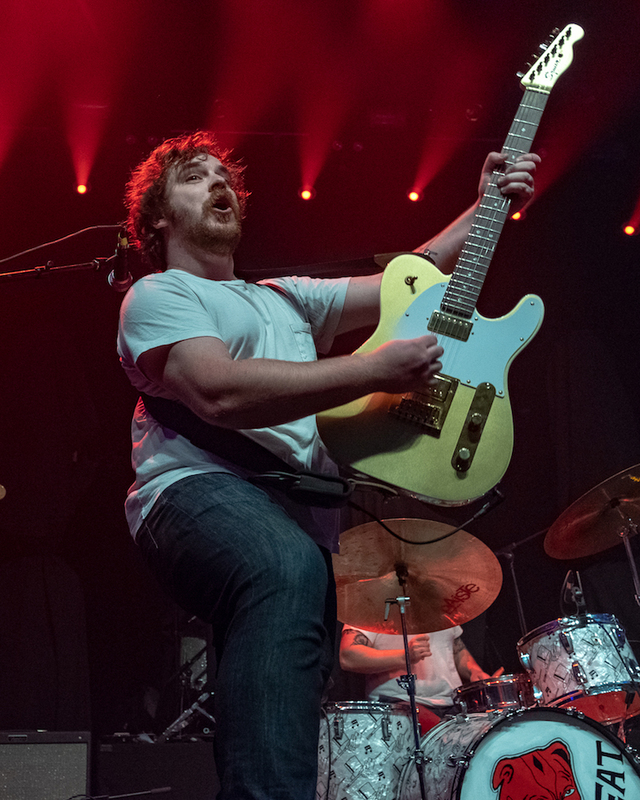 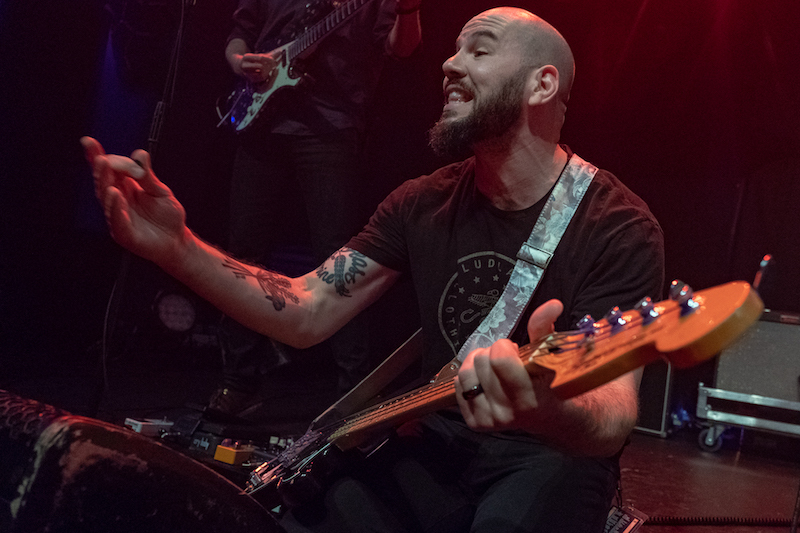 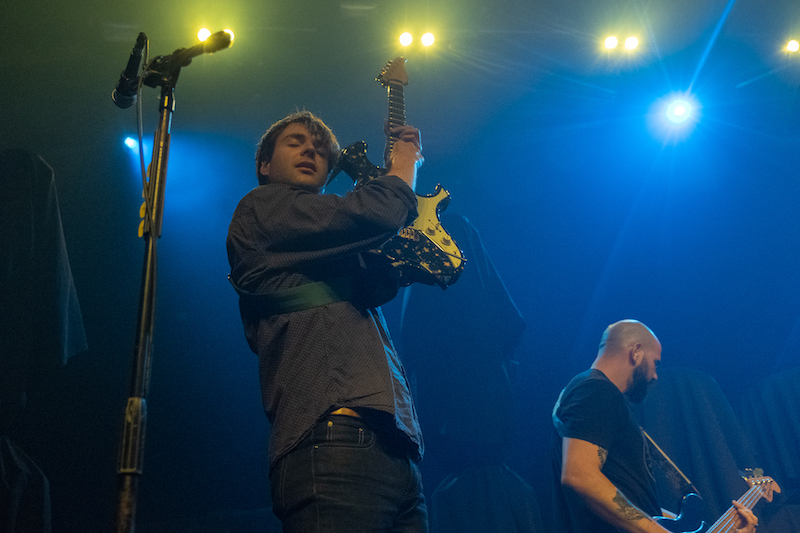 Check out pictures from their show at Emo's below, which also so an opening set from Nashville's Diarrhea Planet.